Fantastic! Thank you (one hundred times more) again! You are the best. Happy dance for you Miss Leah! I didn’t even hesitate to send you a comment and a picture when you asked because this is a wonderful community to belong to and I knew that Artful Blogging was a fabulous magazine. I am surprised that they hadn’t found you sooner! I am just tickled to find my jewelry design on those pages and honored to be associated with such an awesome bunch of artists. Thank you for the opportunity to shine along with you! Enjoy the day! Congrats…this is a publication I’m not aware of and will check it out! Congratulations ! ! you deserve it ! wow !!! super Congrats Leah!!! !–I will look for this magazine–you are a wonderful creative artist!!! and you share your creativity freely–so now you a reaping the rewards of your generosity! I was thinking the same as Erin (above), I’m surprised they hadn’t found you sooner Congratulations on such a wonderful spread. I’m running out to get one ASAP! Congratulations! That is so amazing and inspiring…. just like you! I’m so happy to hear that you are getting the recognition you deserve for all your wonderful work as an artist and a blogger. Blowing you HUGE congratulations kisses across the country and looking forward to seeing how you will biggify yourself next!! Congratulations Leah! The spread and interview look great. I am going to have to get this magazine. Haven’t read a copy yet. Beauuuuuutiful! Congratulations! I´m so happy for you. Congratulations… this sounds like a creative dream come true! Here’s to more of this kind of publicity for you and all the creative artists featured or not! Hi there, I think I might be your first visitor because of the magazine article. Found and bought my first copy of the mag today at my local Chapters. Congratulations, nice work. Very cool!! I’m so very happy for you. wow, leah…you are my hero! what a beautiful post, and what amazing work you are doing. thanks for all you are doing to make the world a more beautiful and creative place! 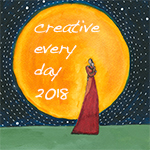 Wow congratulations to you and all the featured creative every dayers! This is marvelous Leah! What amazing spreads! Your work looks gorgeous! Indeed, I will look for it… Congrats, again.And..thank you for creating such fun place to play! This is just wonderful, Leah! Heading over now to explore the magazine. I know it’s not your first time, but I wanted to let you know I’ve chosen you as one of my favorite Kreativ Bloggers. You deserve the award multiple times over! i love watching every step of your dream unfold! congratulations my friend. so yummy! I can’t wait to get my copy! Your work is so beautiful and the community that you’ve created here has been so inspiring to so many. Brava!!!! Beautiful! And I’ll echo so many of the others here – surprised they hadn’t gotten to you sooner. 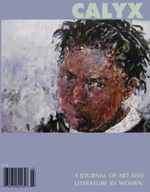 Thanks so very much for asking me to participate – it was a great boost to see my painting on those pages. I’ve got to look for it in Barnes and Noble; it will be a weird and pleasant sensation to find my work on a magazine rack. And thanks for hosting Creative Every Day. It inspires many of us to reach farther, or to keep doing this soul stretching thing we do (create). Yay!!!! Holy cow I was just hanging on every word in this post. I am so, SO happy for you and what a beautiful spread. I’ve never read that magazine and after seeing the beautiful pages I need to go find it now. Congrats again my friend! Very much deserved. This is fantastic. Congrats to you and all of the featured artists. I happen to own Steve Emery’s Woodpecker painting, so I’m doubly thrilled! 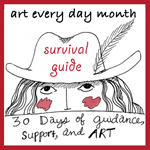 Leah, congratulations on the wonderful article in Artful Blogging Mag. YOur work is astonishingly beautiful. Some day I’d love to have one of your pieces hanging on the wall above my desk, for Divine inspiration. Yay! I will write it here once again. You are meant to be seen in print girl! This is just a fabulous edition and I am so humbly honored to be a part of it with you. 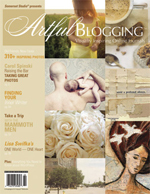 I own several copies of Artful Blogging and am thrilled each and every time I see someone I know in there. I can’t believe I actually have art in one and I owe it all to you and your constant reminder to be Creative Every Day! Wow-wow-WOW!!! I am so happy for you and so proud and so eeeehhh!! HAPPY for yoU!!! I am celebrating your recent publication with you, my friend. May there be many, many more! 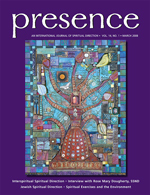 Thanks so much Leah for inviting us to participate–I was thrilled byt he qulaity of the magazine! You deservethe attention for your good work. Glad to see you’re celebrating! This really was exciting and it’s inspiring to see you reach your dreams. I’ve always wanted to be in there too. They’re my fav magazine ever and I can’t believe I’ve got a piece of art in this one. All thanks to you. You help others be their best creativly and I’m happy to see that rewarded. Yay, Leah! Keep leaping! Oh that’s so cool! Congratulations! congratulations! you surely deserve that recognition! I’d fallen behind on reading your posts. SO, I was very happily surprised to recognize your artwork on the cover of the new Artful Blogging when I was at Borders yesterday. Of course, it had to come home with me. Beautiful! And thank you for using Karen Mowerys’ pieces. Her work is gorgeous! just finished reading it! it was great. I can begin to te you how much art supplies i have and even now, my room isi plain as ever! wrote some of your point down in a orange journal, and il take bloging more seriously when it envoles art!